Once again trans* people all over the world and our allies are gathering at Transgender Day of Remembrance memorial events to solemnly remember the people we lost to anti- trans violence since we last tearfully gathered to do so. In addition to this being the 15th anniversary of the Transgender Day of Remembrance memorials that were conceptualized by Gwendolyn Smith in the wake of Rita Hester’s murder, we will be marking on November 20 it being one year since trans teen Sage Smith disappeared after departing her home to meet someone at the Charlottesville, VA Amtrak station. This year we’ll be reading 238 predominately Black and Latina names as we gather in our TDOR venues, light candles, say our prayers, give our speeches, and decompress from grieving about the people we’ve lost after these worldwide15th anniversary Transgender Day of Remembrance memorials conclude. And we’re fed up with doing so. We’re fed up with reading the names of so many young trans* women and sadly a few trans* men this year who will never get to experience another birthday. Far too many of them who were killed this year were under the age of 35. We’re fed up with contemplating the disturbing fact some of the names we’ll be reading during these TDOR memorials hadn’t even made it to age 21 yet. We’re fed up in the African-American and Latin@ trans* communities of far too many of our people dying and our politicians, clergy and media pundits being cricket chirping silent about it. We’re fed up with legislative inaction on the human rights laws it’s painfully obvious trans* people need at the local, state and federal levels as a wide range of people from trans exclusionary radical feminists to right-wing politicians gleefully spread disinformation and lies to roll back or retard our progress. We’re fed up with our people dying and our people choosing suicide over life because you transphobic cisgender haters have made it so hostile and uncomfortable for them to live. But sadly we’ll probably be gathering next November 20 at locations around the globe to read another 200 plus names of people killed because of anti-transgender violence. And we’ll gather because for the sake of the people who died trying to living their lives as their authentic selves, we must. We cannot allow ourselves as a community to forget how and why these 238 people and the ones who have preceded them over the last fifteen years of organized TDOR memorials died. We cannot allow ourselves to forget that trans* rights are a human rights issue not just in this nation but around the world. We must do whatever it takes to ensure that trans* people here and around the world can live their lives free of fear and wrap themselves in the security blanket of freedom and justice. 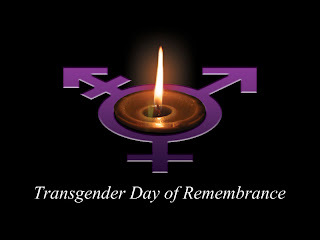 We also cannot forget the price that was paid in the blood of our fallen trans* sisters and trans* brothers. Their lives mattered then, their lives mattered to the people who loved them unconditionally and their lives matter to us who mourn their passing. We as their trans* brothers and sisters and our allies also cannot forget that it is up to us to ensure that the 238 trans” people who died this year and memorialize on this day did not do so in vain. Yes, the moral arc of the universe is bending toward justice for trans* people but the people who died will sadly not experience the unbridled joy of that inevitable day. 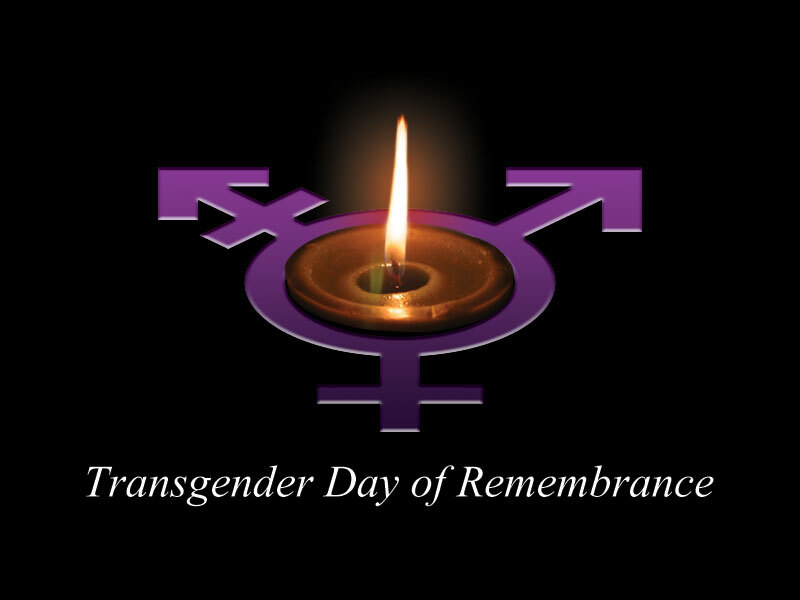 TDOR exists to remind us that it’s time for us to remember our dead, pull together as a community and comfort each other. It is a memorial day, and if you think it’s ‘too somber’, too bad. There are 364 other days on the calendar for you to do your partying and November 20 or the TDOR will never be an appropriate time for you to do so. As we work to eradicate anti-trans violence causing these senseless murders and waste of human life and potential, we remember our dead, wipe away our tears, and dry our weeping eyes. We replace sadness and grief with a steely resolve to work for that sunny day of freedom and justice for all trans* people and make the TDOR’s obsolete. Does Homophobia Go With That Hate? Meet Girl LIke Us Model Ines Rau! Wendy's OFFICIALLY Running For Texas Governor! Post Number 1000 in 2013! It's A Threepeat For Mayor Parker! Paris Lees Tops Britain's 2013 Pink List!